I am asking for help in locating a very dear pink stuffed bunny plush that my 8-year-old has had since she was a baby. The pale pink bunny was made in the late 90’s by North American Bear Co. It’s actually called a “Pink Taffy” bunny, and the material is more like velour, instead of fur. 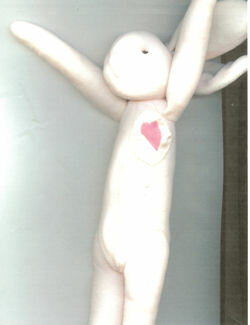 The arms and legs are very long and slender, and the eyes, nose, and mouth are made of thread and sewn on. She took it to the park one day, and a park ranger found it and placed it in the lost and found area. When we couldn’t find it a day later, we called to see if anyone had found it. They said they had it and to come by and get it. When we came to retrieve it, another child had claimed it, even though it was described by us to a T; patches and all. Needless to say, my daughter is so heartbroken and cries daily for her old lovey. I have been in contact with North American Bear Company, who explained the toy has been discontinued for several years. It was made in 1998-1999. If anyone has the same pink bunny, no matter the condition, it would mend the broken heart that my daughter has and reunite her with a cherished toy. I appreciate you help with this very special matter.